Alright - in the interest of full disclosure - I am not very crafty. I typically leave that to my teammates, including Casey and Cassina. 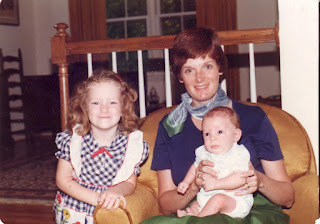 My mom was a Home Economics teacher for years, and taught many young ladies and gentlemen how to sew, cook, clean, etc. Not me; I had no interest at all... until I moved out, got a job, and bought a house. 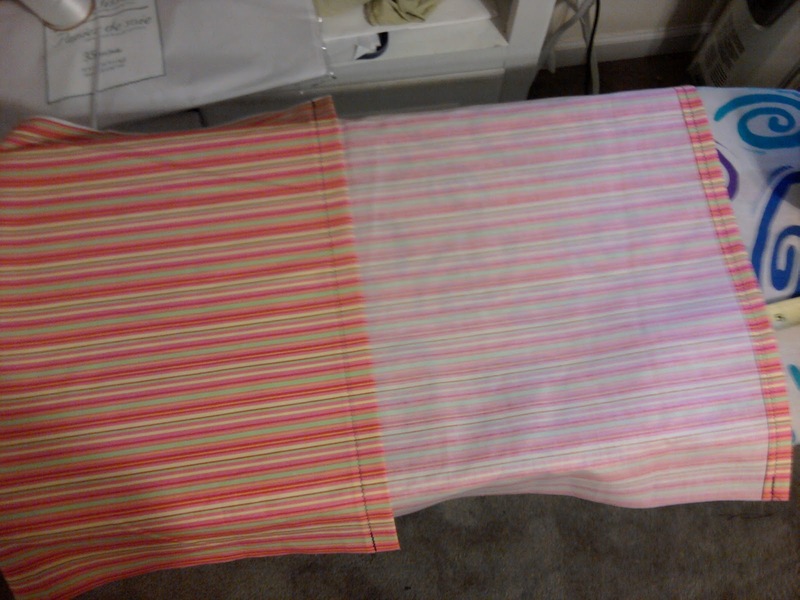 Since then, I've learned how to follow a recipe, clean the house enough to make sure I'm not attracting critters, and sew straight lines semi-straight lines. 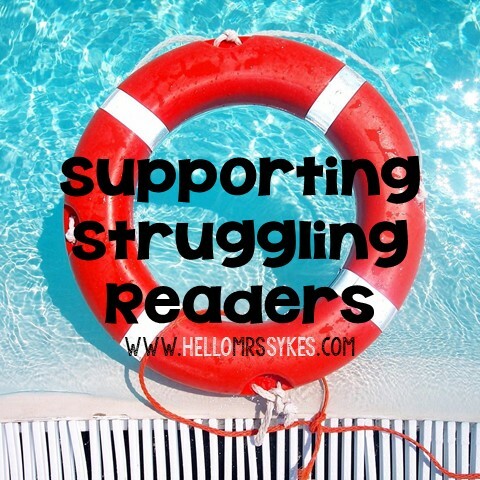 I never appreciated how amazing she is until I moved out, and now I'm asking for her help all. the. time. She's probably getting tired of it, but she really comes through for me, and I love my momma. Dontcha' just love this pic? 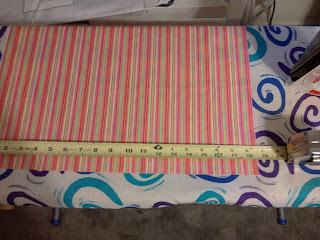 Step 2: Measure twice, cut once. For reals. 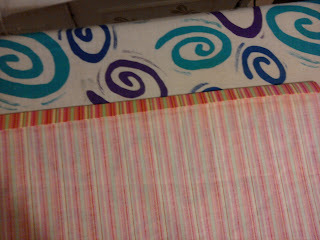 (Don't use your favorite fabric on your first attempt. Trust me! The first one I made was hideous, and I had forgotten a step somewhere along the line. The first one took me about 30 minutes. 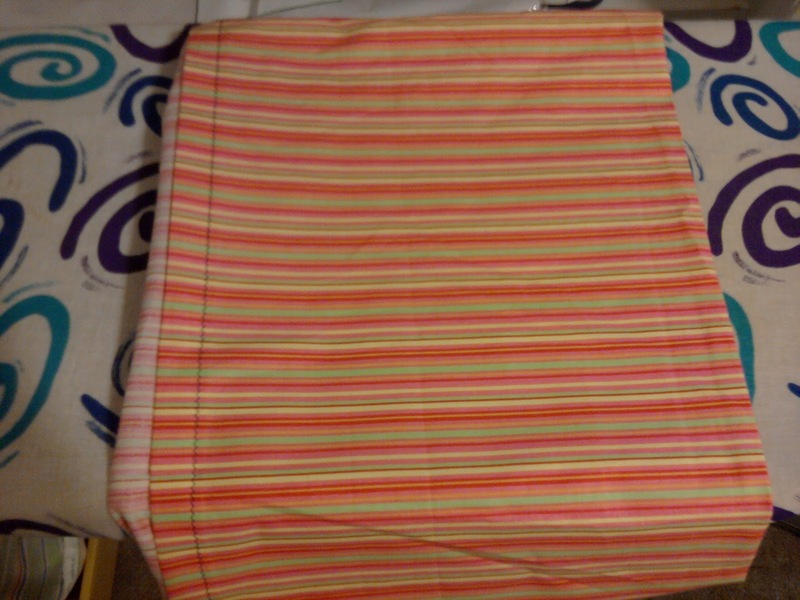 Now I can make one in about 5 minutes.) We use "standard" metal/plastic student chairs... please make sure to adjust the measurement if needed to fit your chairs. 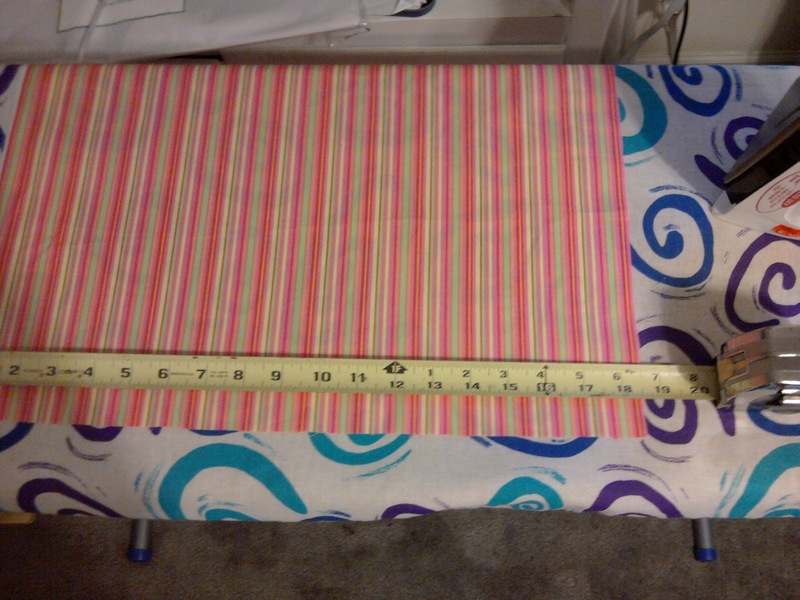 I cut the fabric into rectangles 17 1/2" wide x 45" long. 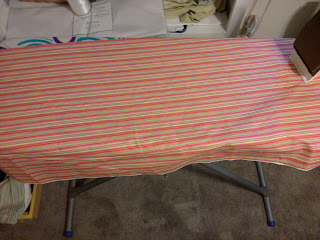 Step 3: Fold over the short side about 1/2", iron it flat, and fold it over again. Sew a line close to the folded edge. 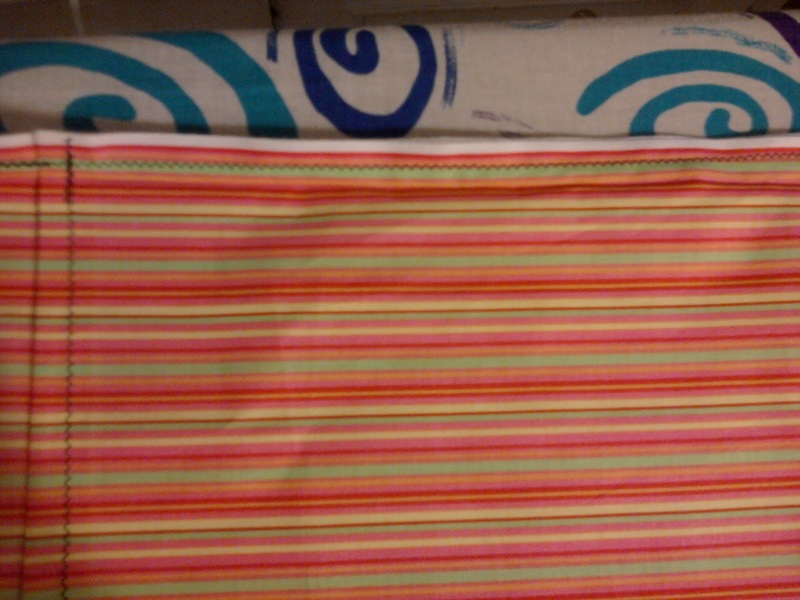 I use zigzag stitches on my sewing machine; I think I heard somewhere that a zigzag stitch is a bit more durable. If that's not true, you can correct me!! 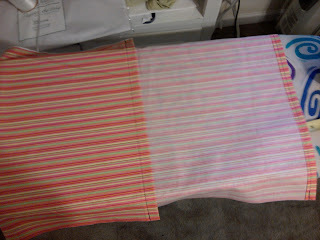 Repeat the fold, iron, fold, iron, sew a line on the other short side. 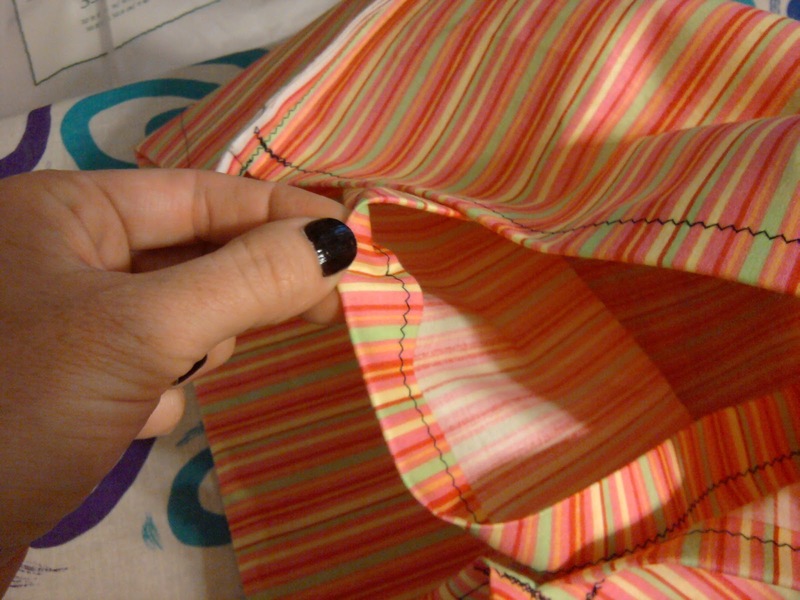 Sew a straight-ish line to secure the end. 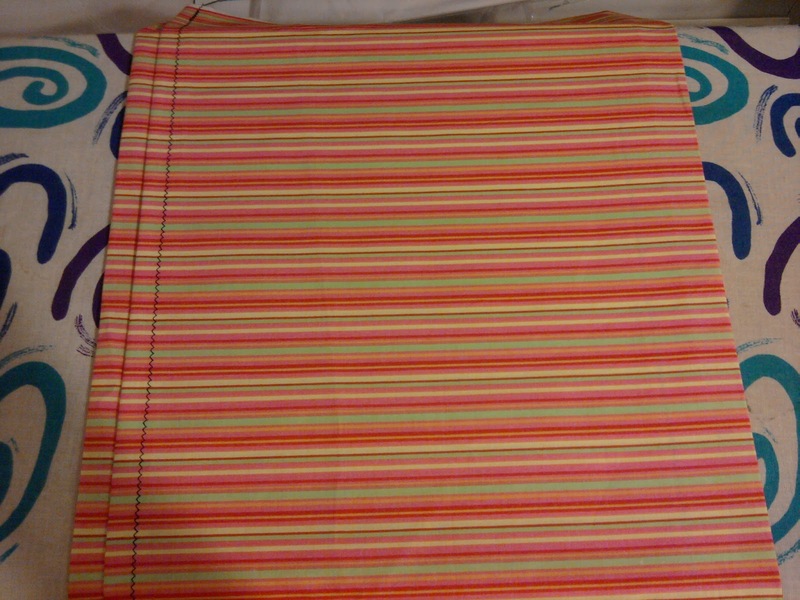 Step 4: Lay the fabric flat, wrong side up. 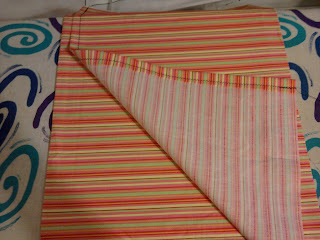 Fold the first short side in 1/3, then fold the other short side in 1/3. 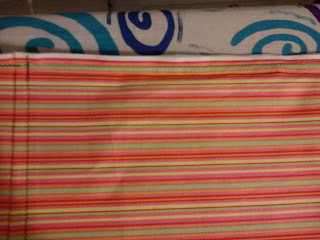 It will look a bit strange, like it only makes 1 pocket. This is the step I messed up the first time I made a chair pocket. Trust me. You only have 2 more lines to sew - almost there! 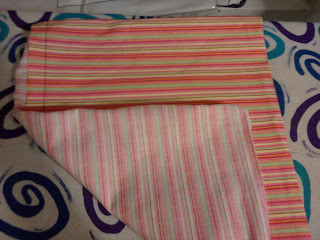 Fold the short side in 1/3 of the way. Then fold the other side in 1/3 of the way. 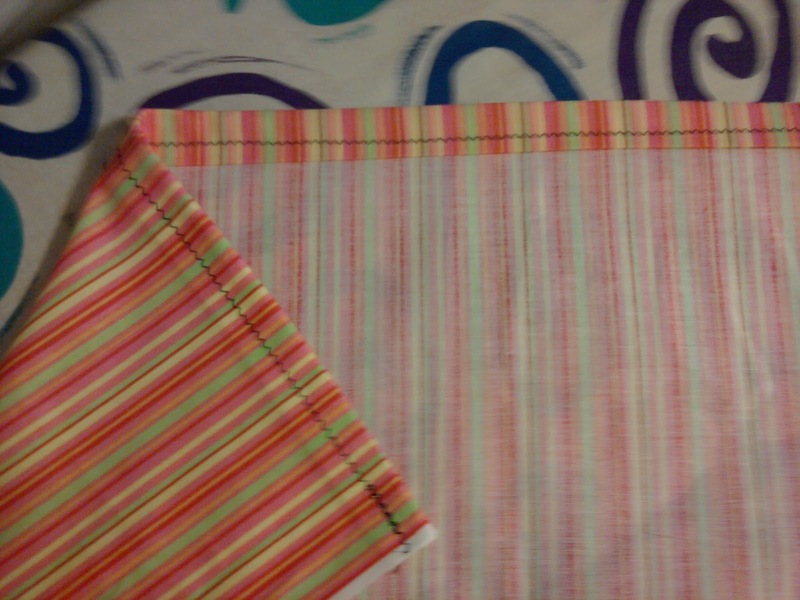 Step 5: Sew a straight line across the top and the bottom. 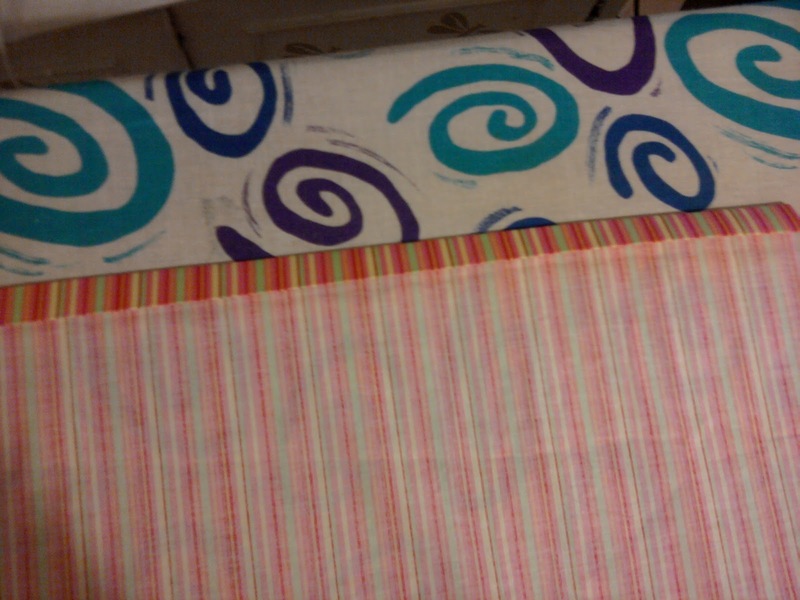 For added durability, serge or zigzag stitch twice to keep the sides from fraying. Just sayin'. 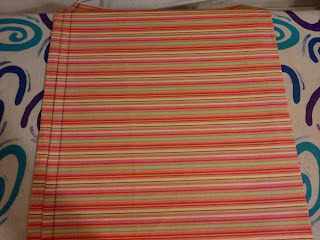 Zigzag stitch along the top and bottom. 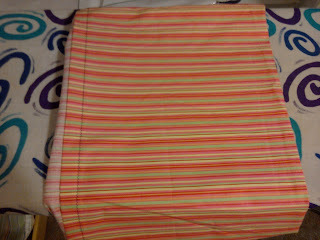 Step 6: Lift the top of the pocket and look inside. See the little flap inside? Grab it and gently pull it out. This turns the pocket inside out, allowing for "both" pockets - one to slide over the back of the chair and the other to store supplies. Peek inside and see the little flap. 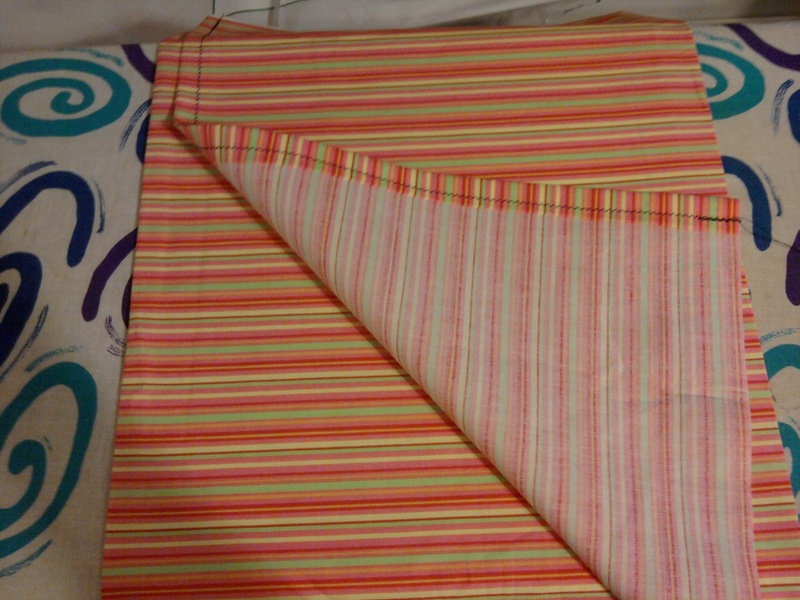 Gently pull the flap out and turn the pocket inside out. 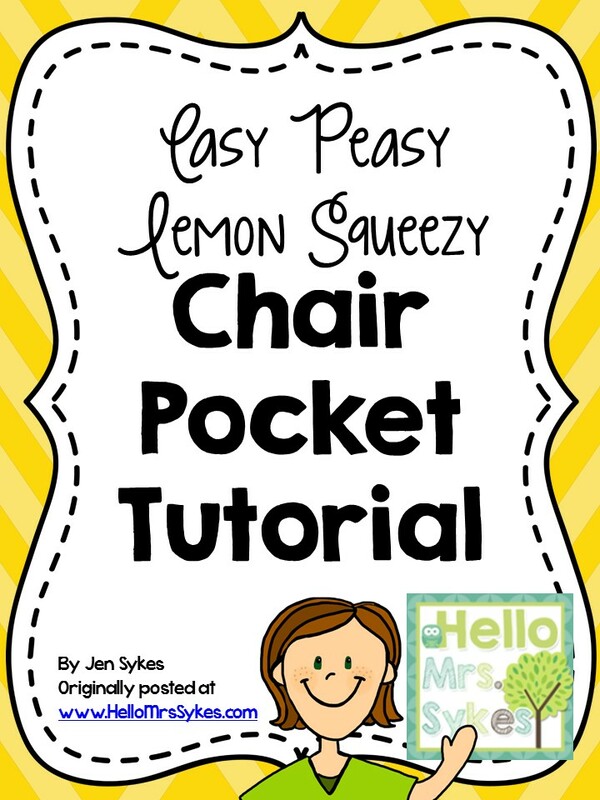 I hope this helps you utilize chair pockets in your classroom instead of having to pay so much out of pocket. I made the set in my classroom almost 3 years ago when I decided to go back in the classroom, and I can't imagine teaching without them. We only have tables in our classroom (no desks!) and I love having a spot for my green beans to store journals, their math workbook, and their pencil pouch. The original set has held up very well. I take them home during each track out (at the end of each quarter) and run them through the washing machine. 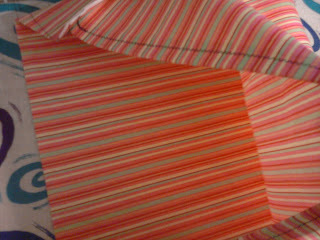 Make sure to shake them out well, so you don't have a crayon in the wash. :) The striped ones I made today will go at my small group table to hold dry erase boards and supplies. 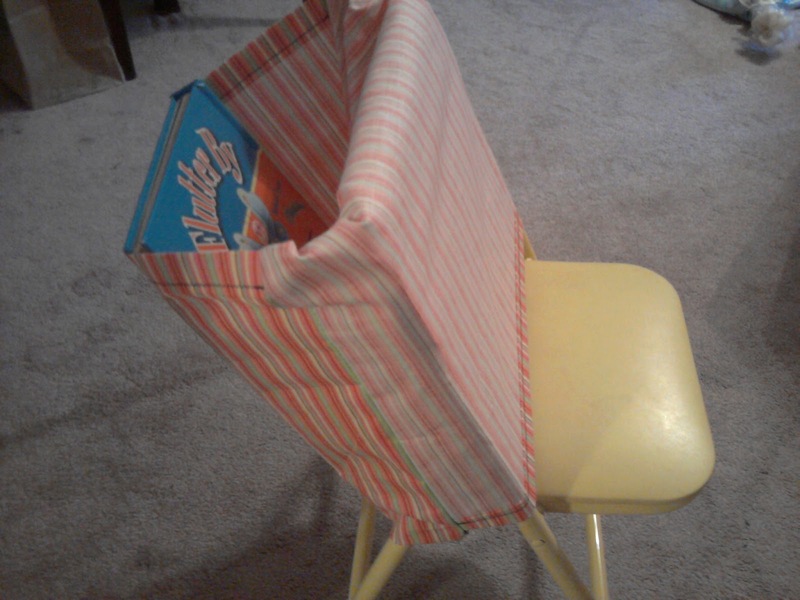 Do you already use chair pockets in the classroom? What do you like/not like about them?